Sage just published the press release for its 2012 line of performance apparel, which MidCurrent first covered in its 2012 Gear Guide. (Bainbridge Island, Wash.) – Sage, is pleased to introduce its first line of technical angling apparel. Designed to match the quality and craftsmanship of Sage’s fly rods and reels, the new apparel collection will perform in a wide variety of conditions, from fishing flats in the blazing sun to chasing steelhead in an ice-cold river. Other pieces in the Quest Collection include the Ultra-Light Rain Shell, which uses Sage’s new GeoShell™ membrane to ensure anglers stay dry and comfortable on even the wettest days. The Ultra-Light is easy to pack and weighs in at just over 10 ounces; it is the lightest 3-layer hooded, waterproof/breathable jacket in the fly fishing market. The rain shell is available in a two-tone Deep Green and retails for $200. Sage’s next offerings in the line-up include pieces designed to protect sensitive skin from the sun. The Keys Crew is a lightweight, technical long sleeve with UPF 30+ sun protection. Combine that with elongated sleeves with a thumb loop and a raised collar for excellent protection from the sun while still being comfortable for a full day on the flats. Available in Fog Bank, Offshore Blue and Equator, this shirt retails for $45. The Seychelles Convertible Pant is a highly technical pant ideal for travel or time on the water. The zip-off pant legs provide versatility while the abrasion-resistant nylon fabric is quick-drying and fast wicking. Available in either Sand Bar or Dark Peat, these pants retail for $80. For anglers who appreciate exceptional apparel for everyday wear, Sage introduces the Lodge Collection with just enough features for technical functionality but all the style and comfort modern anglers demand. The Opala Guideshirt is a technical top thanks to its quick-drying nylon fabric yet is equally at home après-fishing thanks to the ultra-soft feel of its wrinkle-free, anti-pilling material. This shirt is available in Canyon, Offshore Blue, Dorado and Smoke for a retail price of $80. The Kanektok Wool Pro 1/2 Zip keeps anglers warm with Polartec® Power Dry® with wool. 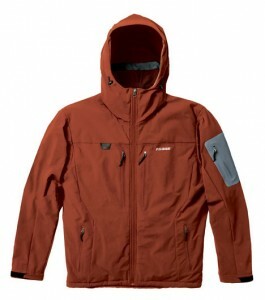 The perfect layering piece with next-to-skin comfort and high warmth-to-weight ratio, this will be the go-to piece for nearly any fishing excursion. Available in Black and two new colors Offshore Blue and Aztec Gold, this piece retails for $125.